Hi everyone! Quick nail art post from me today. 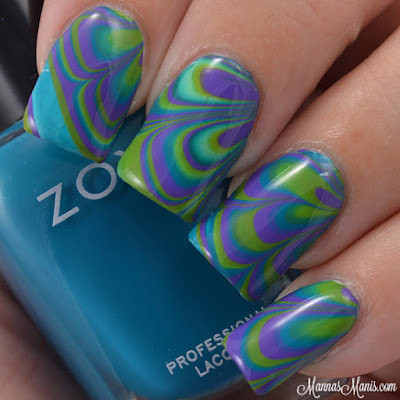 I did a dry watermarble a while back using all Zoya's, a completely different color scheme than I'm used to! I used the same technique I always use for watermarbling now, tutorial can be found HERE. I don't know about you guys, but does watermarbling get worse and worse each time for you?! I've been having the hardest time trying to find polish that works good together AND spreads well. It seriously makes me want to flip a table sometimes!